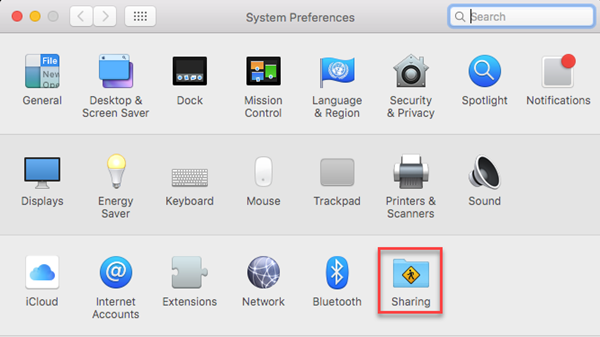 Important: There are many reasons an Operating System (OS) does not recognize a WD drive. 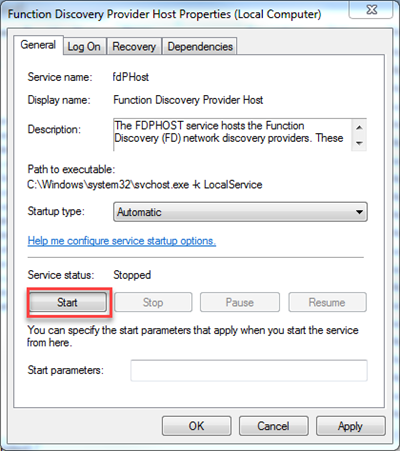 The instructions below are designed to assist in troubleshooting issues related to drives and devices not being recognized by a computer. Please try one solution at a time and test for resolution before continuing with the next item. The My Cloud Home has two storage locations. 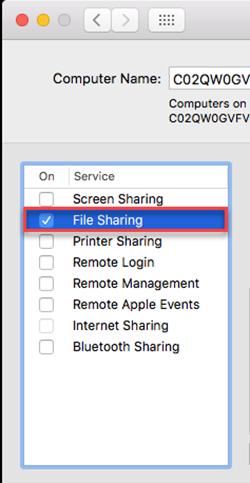 Content located in the "Private User Space (Remote Accessible Network Mounted Drive)" must be accessed using WD Discovery for My Cloud Home on Windows or macOS. Verify the My Cloud Home is online and the LED is "solid white" and not "Slow or Fast Breathing". 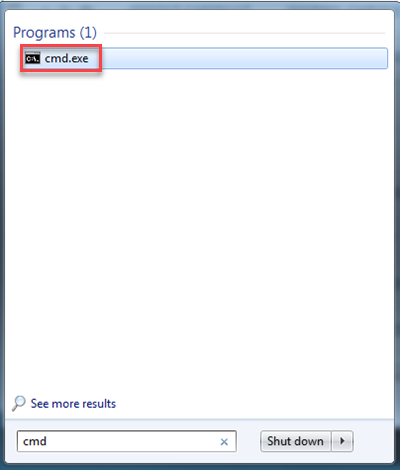 Windows 10 includes the traditional Login In option using a Windows computer Local User Name and password. The Login In option is considered a Local Account which does not utilize Active Directory or any online sign in associated methods. 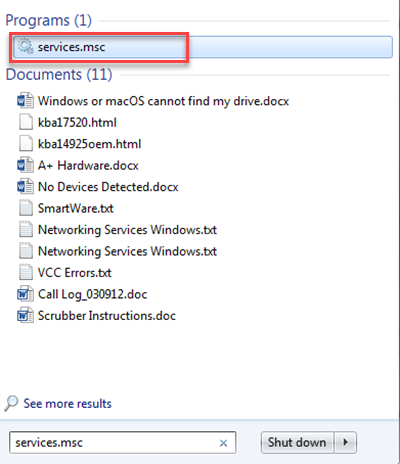 Local Account Login in does not access the windows Samba (SMB) network layer. Windows 10 introduces a new Sign In option using the Windows Online Account email address as the username to access the computer. 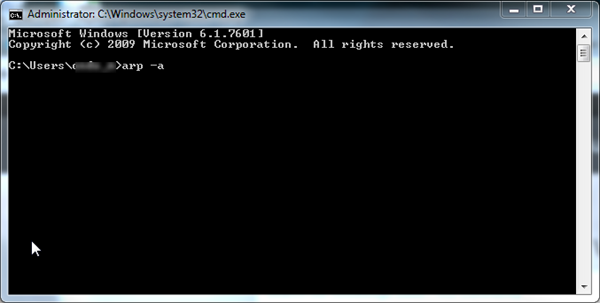 The Sign In option is considered a Online Account utilizing Active Directory via Windows Online. 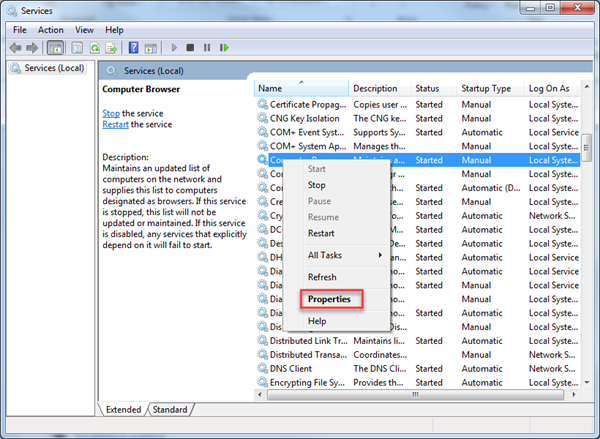 Due to the Active Directory nature of the Windows Online Account, the Windows Samba (SMB) network environment uses the Windows Online Account email address to access available network shares. 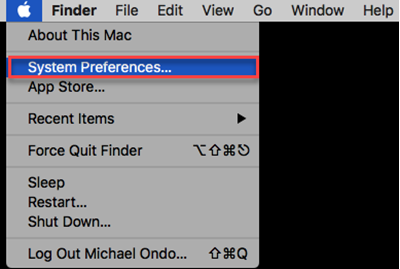 Solution: Create a Windows 10 Local Account and log into the Computer using the Local Account instead of the online account to access the Public Share. Temporarily disable any and all computer Firewalls, Malware, Anti-Virus, Internet Security and End Point Protection software that may be installed on the computer and or network that could prevent the discovery of a My Cloud on the network. 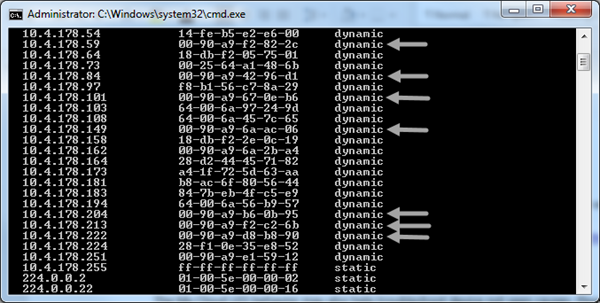 Ensure Windows Workgroup is set to WORKGROUP. The My Cloud Home workgroup cannot be changed. My Cloud Home does not include a Windows SES driver and will not be displayed under "Windows Storage or Hardware" screen. 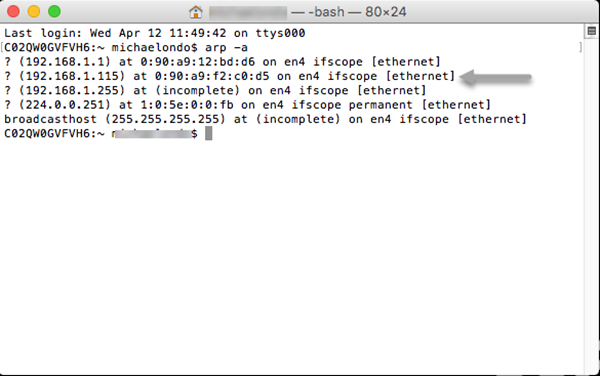 Ensure NetBios over TCP/IP is enabled and set to (default) or On. 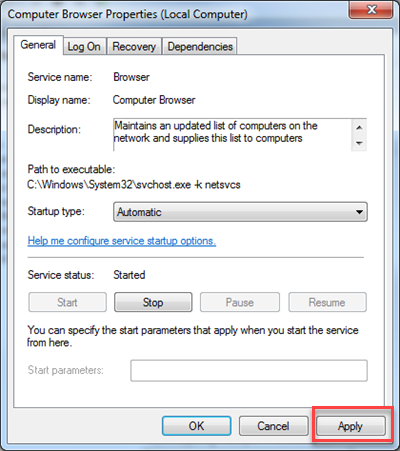 Ensure the following Windows Services are running and set to Automatic. Please follow the steps outlined below this list for instructions on how to make changes if needed. 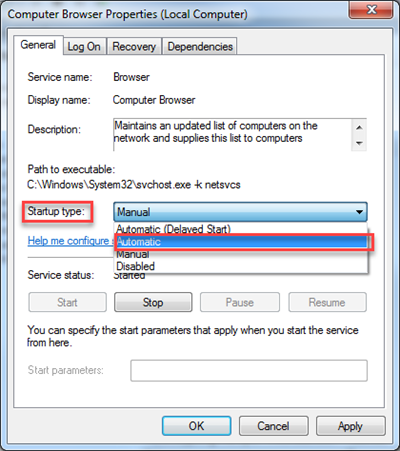 Change the properties to automatic startup any services not currently running. Start the service if the Service status: shows Stopped. 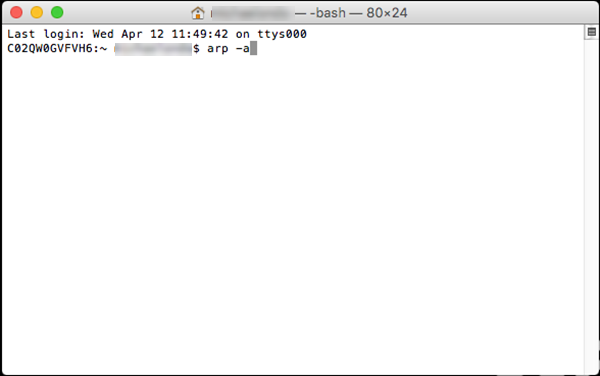 Check the ARP table to determine if the My Cloud Home is obtaining an IP address or is present on the network. Please refer to the following articles to address network drive or share access issues. Answer ID 27271: My Cloud Home Public Share Access Error Message "Windows cannot access \\MYCLOUD-XXXXXX"
Answer ID 13180: Access to My Cloud Shares Fail With "Error Code: 0x80070035 The network path was not found"
Answer ID 20997: My Cloud Home Public Share Message "User Name or Password is Incorrect"
Ensure the computer is set to allow sharing. 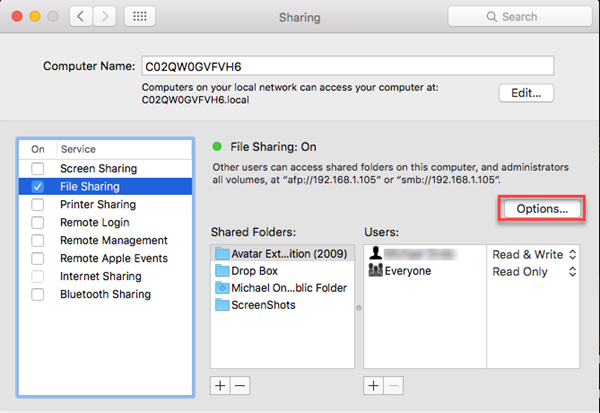 Verify that both SMB (Samba) and AFP (Apple File Protocol) are enabled. 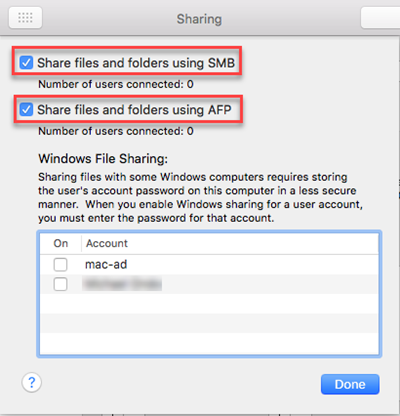 Check both: Share files and folders using SMB and Share files and folders using AFP.